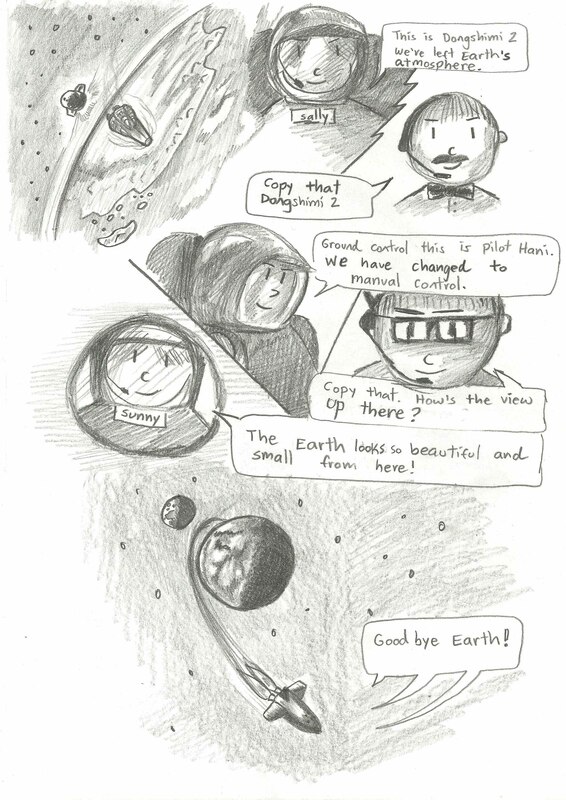 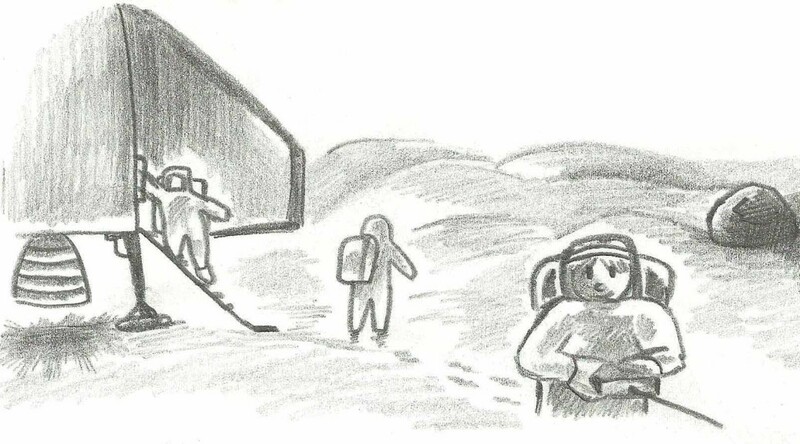 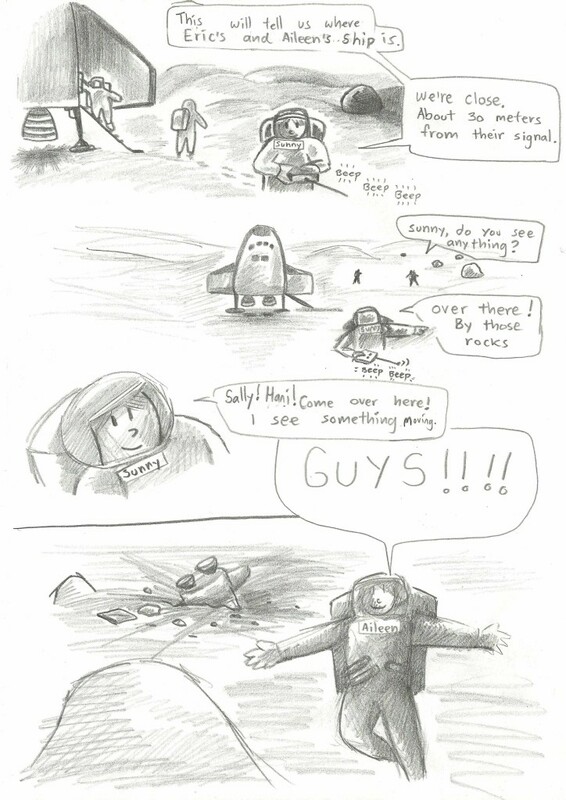 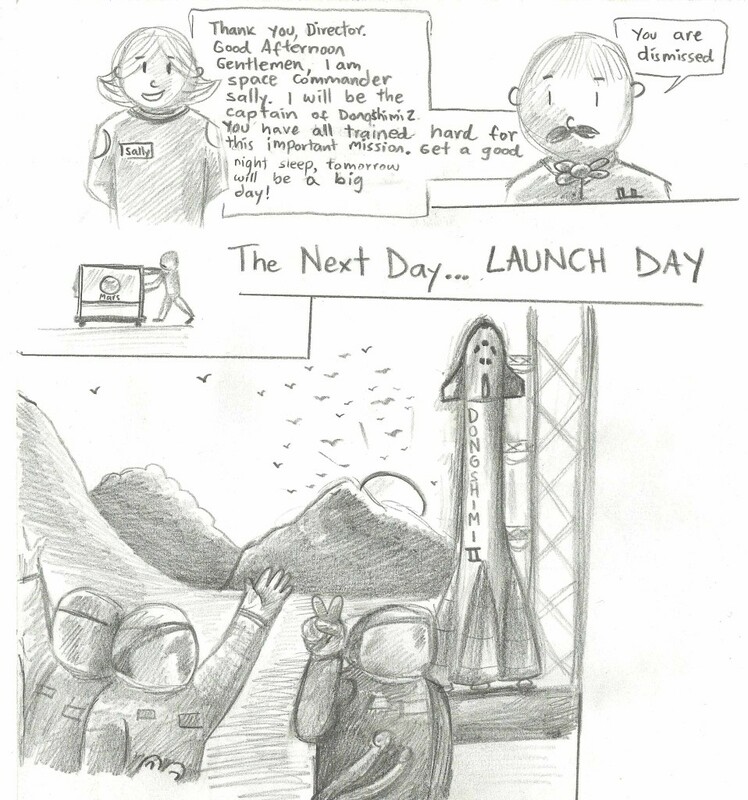 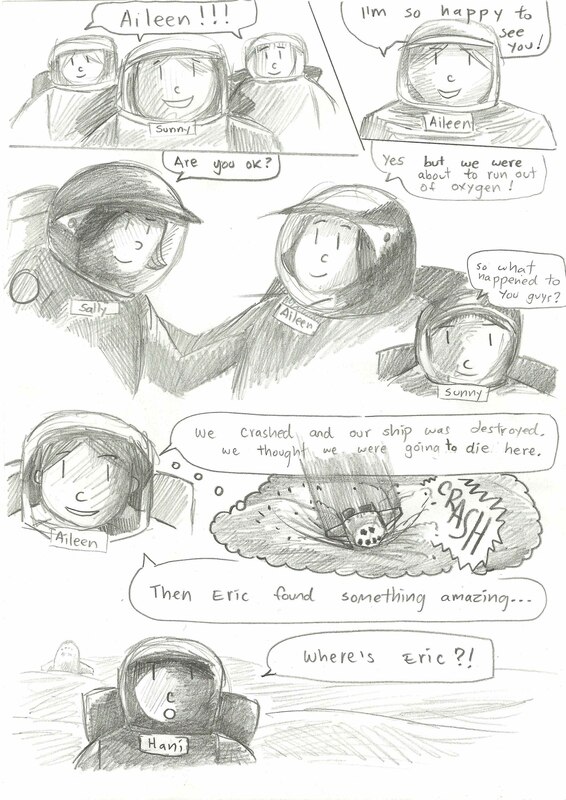 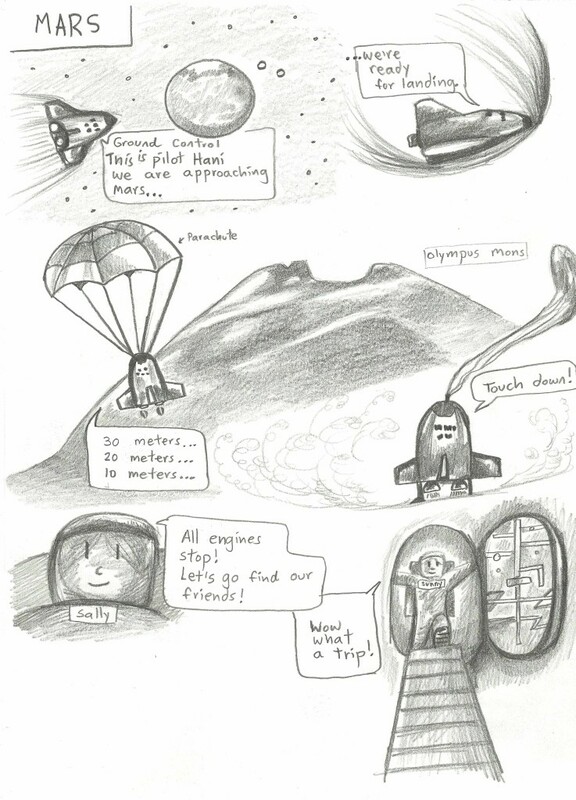 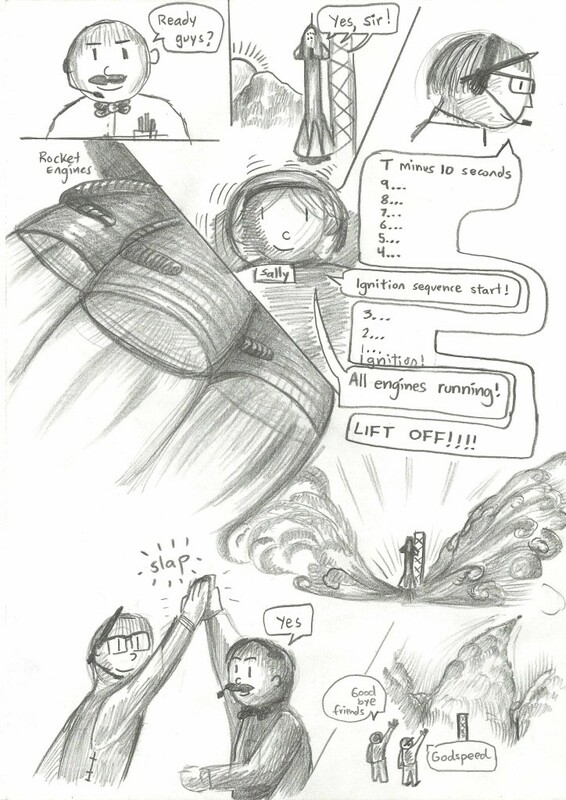 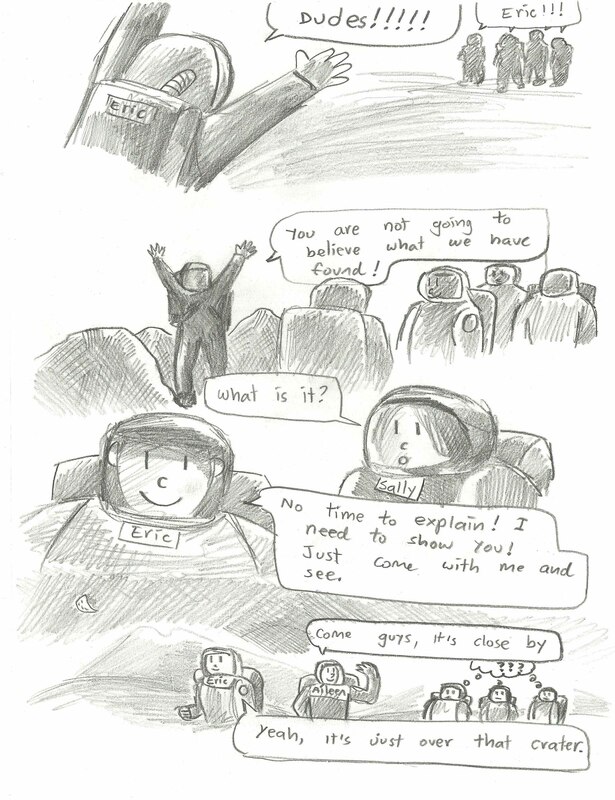 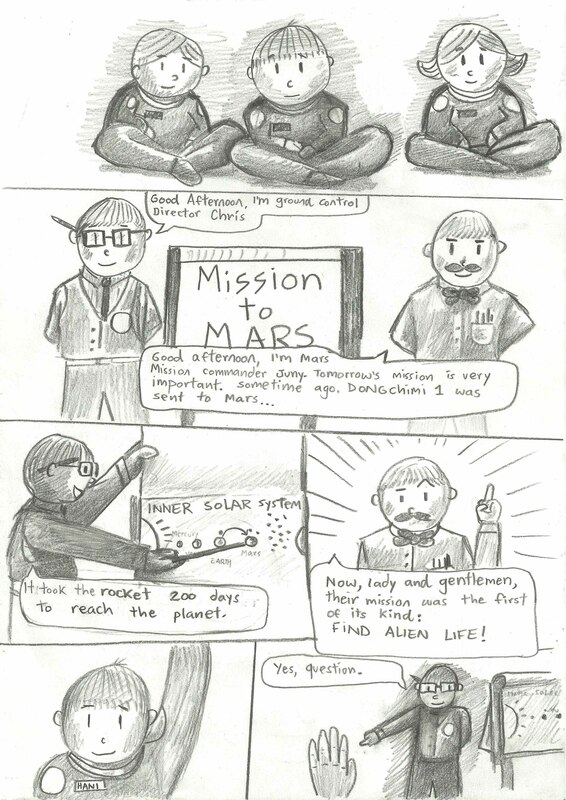 A space comic I sketched out for my kinder kids this past winter (Feb 2014). 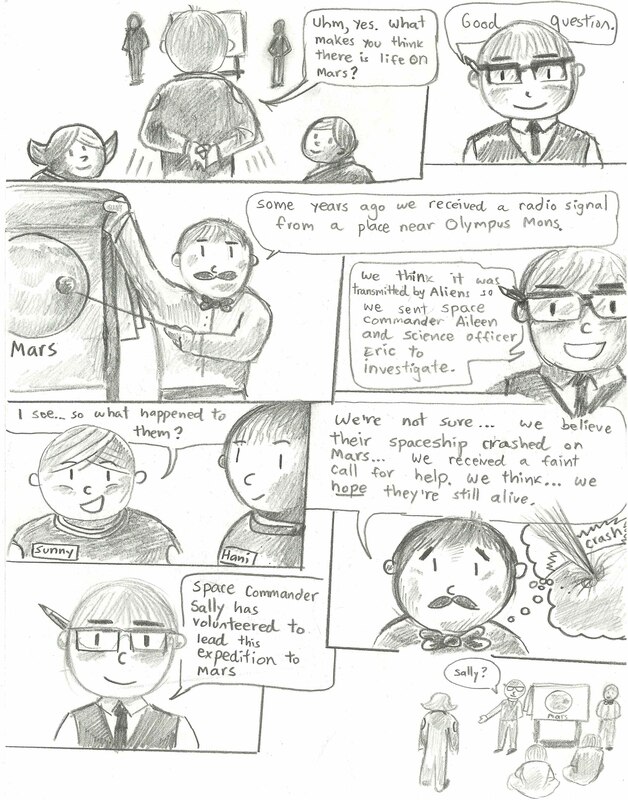 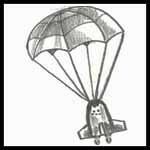 Influenced by Curiosity Rover, Space Oddity, Apollo 13, Mission to Mars and 2001: A Space Odyssey. 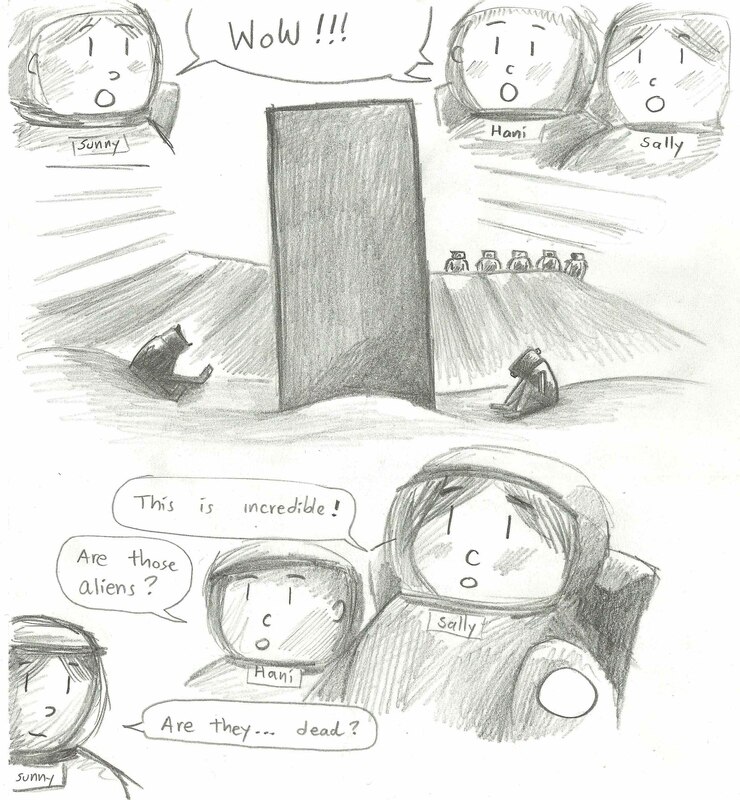 Starring Aileen, Eric, Hani, Juny, Sally, Chris and Sunny.